Fox Home Entertaining announced their plans for SDCC and they have plenty of great items available for you ranging from Deadpool to Die Hard to Predator to Super Troopers. The Deadpool celebration will last throughout SDCC with ‘Deadpool’s Super Duper Dance Party’ located at Booth 3529. This will be a very unique experience featuring Deadpool and his animatronic band of X-Force rejects. To make this special a different Comic-Con exclusive t-shirt will be given to the first 1200 attendees each day (starting Thursday and continuing through until Sunday. Our advice: get there early and visit often. Fancy a stay in a Deadpool-decorated suite in the Hard Rock? Digital video service Vudu Movies & TV, has partnered with Twentieth Century Fox Home Entertainment to host a sweepstakes for one lucky Comic-Con attendee to win a stay in the Deadpool Dream Suite on Saturday evening. The suite is modeled after Deadpool’s apartment and comes fully-stocked with more half-finished Ikea furniture and pop-culture Easter eggs than you could shake a katana at. Not to mention all the (non-adult) movies the winner could ever watch, courtesy of Vudu. Those planning to be at Comic-Con can enter to win at: watchvudu.com/deadpooldreamsuite. The official sweepstakes entry period is July 11 through July 19, and the winner will be announced at Comic-Con on July 20. The cast of SUPER TROOPERS 2 will appear on Saturday July 21 at 1:30pm at Horton Grand Theatre (444 Fourth Ave, San Diego, CA 92101) for a panel experience you won’t want to miss if you are a Broken Lizard or Super Trooper fan. The Fox Fanfare Booth (#4229) will also host the Broken Lizard team on Saturday, July 21 from 9:45-10:30am. Additionally, fans can also cop an exclusive limited edition “Cracklin’ Bacon” band poster with purchase of SUPER TROOPERS 2 on Blu-ray™ at the booth. Lastly, and certainly not least, be sure to add the Fox FanFare booth to your exhibit hall floor list for some great merchandise and exclusives. The age-old question, “Is DIE HARD a holiday movie?” finally gets answered with a collectible “Christmas in July” edition of the film available for pre-order, complete with 4 holiday greeting cards. Yippee ki yay! Celebrate five decades of the acclaimed science fiction franchise by winning a piece of movie history! 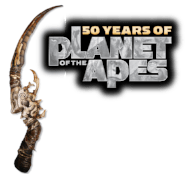 Scan your Comic-Con badge at the Fox Fanfare Booth to be entered to win an authentic prop from 2017’s WAR FOR THE PLANET OF THE APES, complete with its own display case and official Certificate of Authenticity from the 20th Century Fox Archives. If you’re heading into the danger zone, you’re going to need some help. 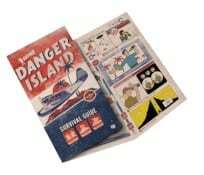 Pre-order ARCHER: DANGER ISLAND on DVD and get a free survival guide from your favorite spy-turned-castaway. Purchase “Blue Harvest,” “Something Something Dark Side” or “It’s a Trap!” on Blu-ray™ to receive exclusive 10th anniversary “Blue Harvest” poster, tote bag and coupons for collectible FAMILY GUY pins. ← The Next 2 Weeks in TV 7/15: A Summer Trip to Castle Rock!